Having performed over 20 Syncro conversions you can trust us to do the job right! With the ever sought after Syncro Westfalia getting harder and harder to find, as well as increasing in value, it makes sense to look at the alternatives. 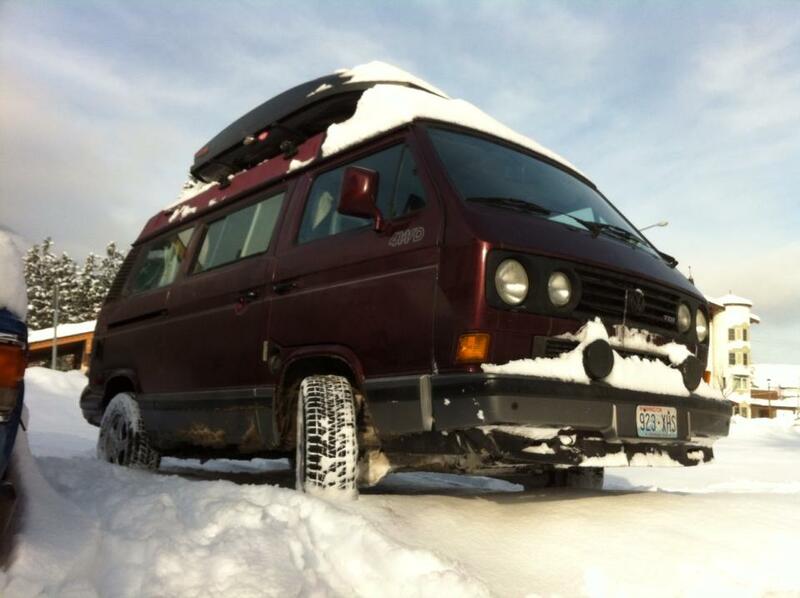 It is still possible to find a very nice Westfalia and a donor Syncro to build one of these incredible vehicles for your own. There are many options available during the conversion process from limited slip/locking differentials, lift kits, big brake kits, engine conversions and off road bumpers/accessories. With our full service shop including everything from paint/body, mechanical and interior let us build you a show stopping dream Vanagon! Our Syncro conversions start at around $20k, which includes the cost of the Syncro donor parts, but due to availabilty prices are subject to change. Estimated price also reflects additional possible costs including refurbishing/replacing any worn parts including the transaxle or front differential and upgrades. These vans started life as a 2WD. Now they're Syncros and can go play almost anywhere!